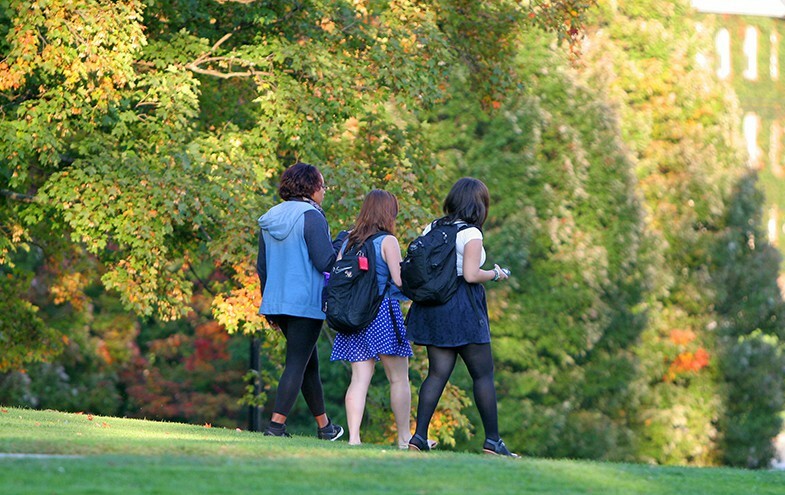 The comprehensive fee includes tuition, fees and room & board, but it’s not the full story, because we know there are other costs associated with your coming to Williams. Your actual cost to attend will be specific to your circumstances. Something important to know: There are no “hidden” costs at Williams, such as charges for the use of athletic, computer, recreational, or lab facilities. Likewise, basic health care is provided free of charge at the campus health center. While all students must carry health insurance, Williams subsidizes insurance for the highest need students – approximately 20 percent of students receiving financial aid. Campus events such as concerts, films, plays, lectures, dance performances, athletic events rarely cost students more than a dollar or two at the door, and many events are free with a Williams I.D. And there are no fraternities, sororities, or eating clubs at Williams that would require extra fees. Should you choose to live off campus as a senior, we assume that your costs for rent, utilities, and food will be similar to the cost of Williams room and board. For 2018-19 the budget includes $7,350 in housing expenses for a 9-month period (September to May), which equates to approximately $817 per month for rent and utilities. Likewise, your budget allows for $7,150 for food, or $794 per month. Staying within these expense guidelines will ensure that your financial aid award is adequate to meet your needs. Additional Williams scholarship is not available if living off campus proves more expensive than living on campus; however, more loan or campus employment may be available.